Here (finally) is my fabulously freaky face from the exquisite corpse project. Sorry it took so long to get it up here but having no camera is seriously affecting my blogging! 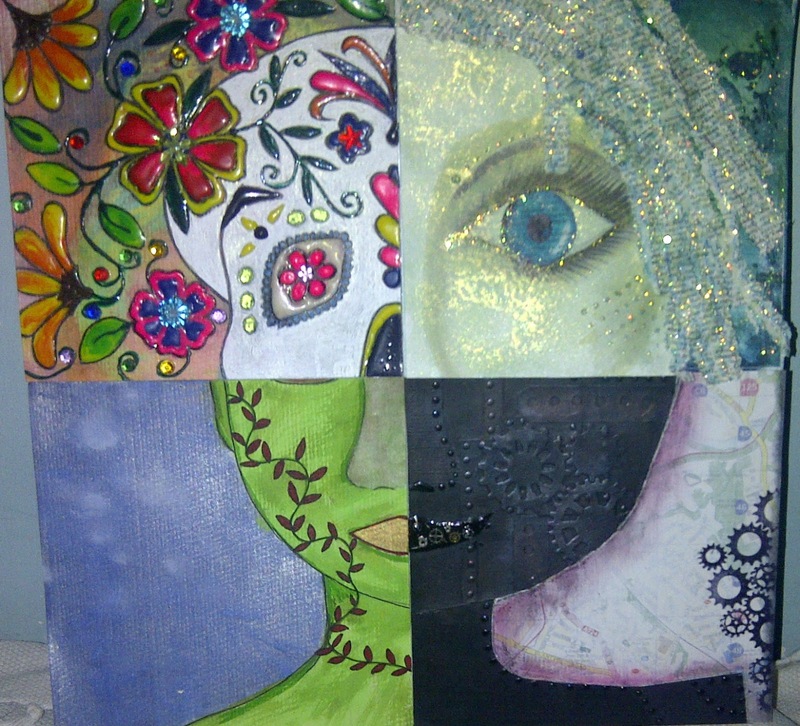 Thank you all ladies - I luuuuurve my freaky lady and she hangs in my craft area to inspire me. I think she's beautiful. Oh she is lovely - great to see her completed! WOW, the finished piece looks amazing. I hadn't even noticed the steampunky lipgloss - just scrolled back up. Oh my word, there is so much to love about each section and put together she's just fabulous!